Let me introduce my guest for the next few days, William S. Shepard, a prize-winning author of the new mystery genre the diplomatic thriller. Now residents of Maryland's Eastern Shore, the Shepards enjoy visits from their daughters and granddaughters, fine and moderate weather, ocean swims at Assateague, Chesapeake Bay crabs, and the company of Rajah and Rani, their two rescued cats. 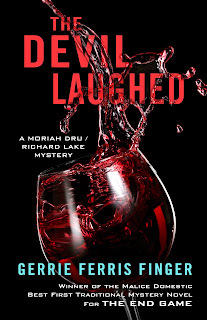 Shepard's diplomatic mysteries are set in American Embassies overseas. That mirrors Shepard’s own career in the Foreign Service of the United States, during which he served in Singapore, Saigon, Budapest, Athens and Bordeaux, in addition to five Washington tours of duty. 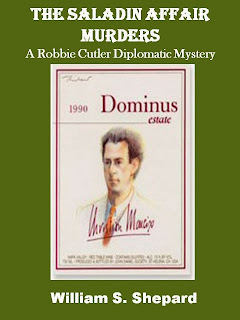 My series of diplomatic mysteries now has five novels. All are, to some extent, based on fact. The first, “Vintage Murder,” concerns the Basque extremist organization ETA. 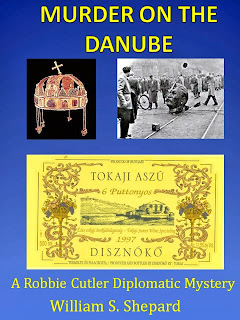 Then “Murder On The Danube” takes as its background the heroic Hungarian Revolution of 1956. “Murder In Dordogne,” interrupts the honeymoon of my two main characters in an idyllic French rural landscape with murders past and present, as remnants from the Occupation still have present consequences. Then “The Saladin Affair Murders” has Al Qaeda tracking the Secretary of State on his first official trip to London, Dublin, Paris, Vienna, Riga and Moscow. Lastly, the latest novel, “The Great Game Murders,” explores real time events including the war in Afghanistan, and cyber warfare. I’ve found that exploring actual events, sometimes in real time, while undergirding the story with a realistic background, presents both opportunities and pitfalls, which may be of interest to readers and fellow authors. First, of course, is to get the actual events right. 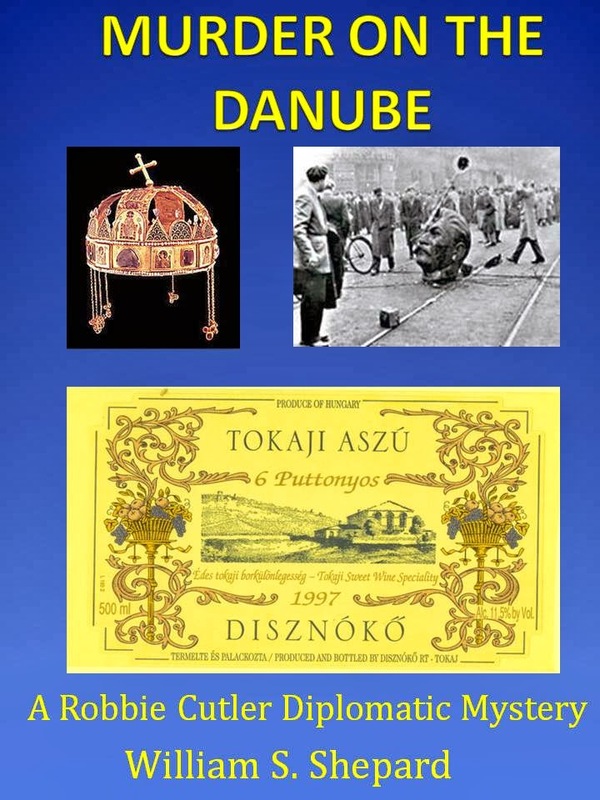 In “Murder On The Danube,” for example, survivors of the twelve days of street fighting know what was going on every day, in each quarter of Budapest. The problem I thought was to make sure that this material was accurately presented, without the detail overwhelming the story. But I wanted to present a modern story as well, and therein lay the problem. The political scene kept changing with every election, and I wrote at least three different drafts of that evolving situation, trying to get it just right. I finally realized that no words of mine were ever going to fix a changing political situation, and so I settled for a realistic, somewhat broad brush background that let the main story emerge. That was lesson number one – a background is going to continue to evolve, and the writer cannot fix it like a bug preserved in amber. The balance is to have just enough background for realism, while letting the main story proceed. 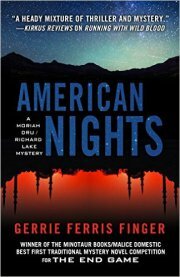 How is it possible to balance a terrorist subplot with a murder mystery? This new diplomatic mystery genre is still evolving, and I surely don’t have all of the answers yet. But in “The Saladin Affair Murders,” the murder of the American Ambassador to Dublin seemed to fit well into the overall plot. And I found that Al Qaeda’s plans to assassinate the Secretary of State in three different locations were best foiled by good police and intelligence work, not dissimilar to detection of a nonpolitical crime, such as murder. 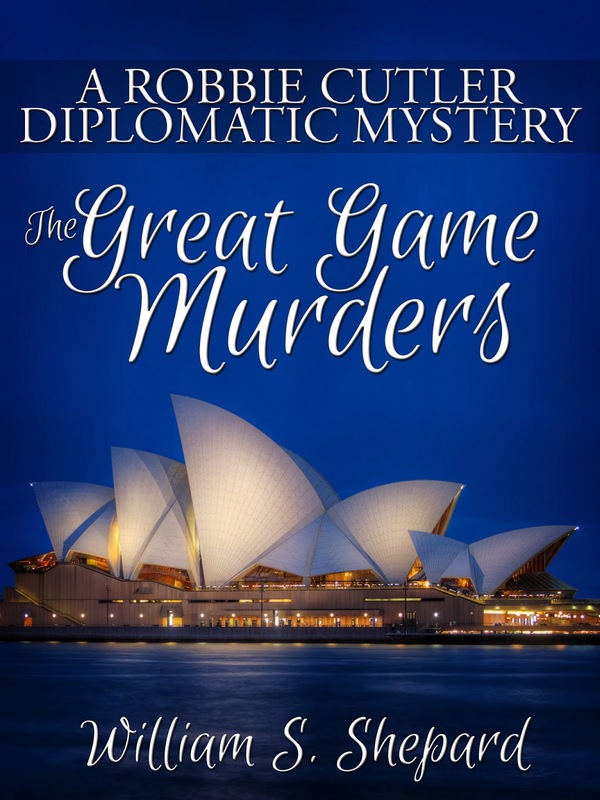 In “The Great Game Murders,” there is a duel between Al Qaeda and the United States, as the Secretary of State visits Southeast Asia, India, Afghanistan and China. Here I incorporate what is known of Al Qaeda’s methods, with the addition of a further nightmare – a possible link between that terrorist group, and a Great Power. Since that is fanciful I am free to speculate on how such a link might develop. You’ll see the consequences in the chapter on the Secretary of State’s secret visit to Beijing! 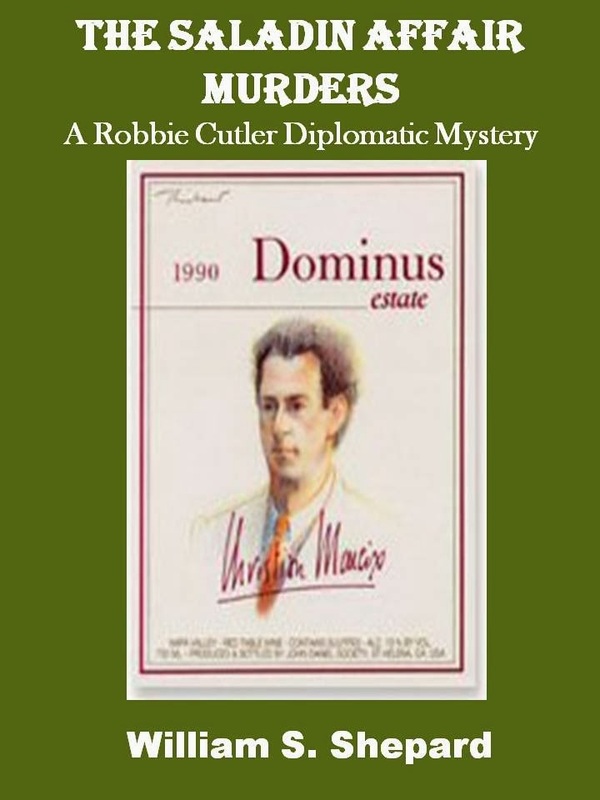 As part of the plot line, Robbie Cutler becomes suspicious that private email communications may have been intercepted or compromised in some way. He learns about cyber warfare, and uses what he learns to thwart a plot against the Secretary of State during their visit to Goa, on the Indian Ocean coast. This was rewarding to research and to write, and the lessons may be more broadly applicable than this fictional account! Afghanistan is of course presented in real time. Here I use the conflict as background for Robbie Cutler’s temporary duty (TDY) assignment to Kandahar Province. Together with official military and USAID colleagues, he builds a well in a small forsaken village, which had no clean water supply. It is an almost biblical undertaking, and several readers have said that they liked this segment best. The needs of the people continue due to and in spite of the conflict, and there seems to be a timeless quality about the well digging. I rather like that in a novel set against actual news events. And so, against this background of five novels, I think it is possible to draw a few conclusions. First, get your history right. (The background of the Basque terrorist group ETA and its emergence as a dangerous group was established in “Vintage Murder.” “Murder In Dordogne” contains a number of London radio message to the French Underground, set in exactly the style of the time.) But don’t let your story become the prisoner of its historical setting, no matter how fascinating that may be. Next, the fact that you may be writing against a real time background has its own perils. Don’t let your story become prisoner of tomorrow’s headlines. Don’t be afraid to use new technology, such as cyber warfare, in your story. But always remember that the story is the important thing, not the background against which it is set. 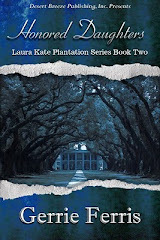 For we all love to read an interesting, well paced story, with evolving characters, now don’t we? I can't wait to read this latest in the series. I loved "Murder on the Danube." Thanks so much William for creating Robbie and sharing your thoughts.